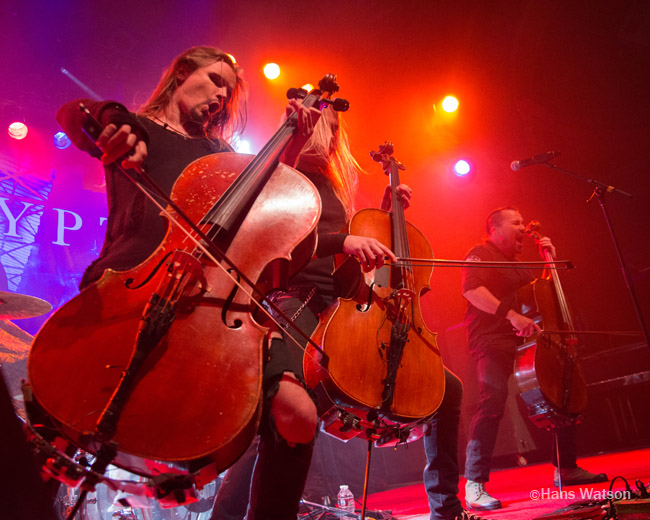 During the Modern Vintage tour with VAMPS and SIXX:A.M., we got a chance to talk with Eicca and Paavo of Apocalyptica about music, international touring, working with guests vocalists like Dir en grey’s Kyo, and Japan. Enjoy! With the last three albums, Apocalyptica has evolved quite a bit in sound, what were some of the changes you made within the last couple of albums that had the most impact for you? Eicca: Especially on the very new album, the upcoming Shadowmaker album, I think the biggest change is that we were able to achieve the song that we were looking for. It was always the battle between being powerful, having a powerful sound, but still keeping it sounding as cellist as possible, and not to get the sound too close to the guitarist. In the previous album sometimes we succeeded, sometimes failed on that goal. But I think on the new record everything sounds more cello than on the previous record. Paavo: You play the cello as an acoustic instrument and you play two strings at the same time, there’s a lot of natural distortion, with a guitar kind of thing, When we were in the studio, we were recording that acoustic sound the whole time. At the same time, of course in the next room there was guitar amps that were loud. But we were able to record the acoustic sound at the same time the whole time. And this time the acoustic sound is pretty strong in the mix, so you can always hear the acoustic cello. E: The difference in the drum’s sound is that this time the drums are really dry and really, kind of in your face kind of style. In general, we tried to make everything as intimate as possible as characteristic as possible. To get the feeling that you’re basically in the same room with the band. That was the goal and I think we did really well. In some of your earlier work, you have played some parts of you recording naked, how did that come about? P: We don’t play that way anymore. E: Yeah, that’s old school. P: [laugh] Maybe next time. P: The album title could even be ‘Naked’. Because that seemed to have sort of an influence on the sound, does fashion in general play an influence on how you create music? P: We are more naked in there. E: Yeah. [laughs] I think with studio work, I think for Perttu he actually, on this album, he dressed like there was a concert every time it was his turn to play something. He always put his kind of performing clothes on because he wanted to get an image for himself that he is performing. P: More like a mental state of mind. E: I don’t care about fashion in general, so, for me there is no effect to what I wear. Playing instruments, the way you do a heavy metal fashion has to have some sort of abuse and take a toll on your instruments, have you had any mishaps in playing either recording or on tour; has anything broken along the way? E: For sure, we have broken a lot of cellos. Especially the old times. Nowadays we kind of have found the technique how to play where it’s powerful and loud and not breaking or anything. I can’t even remember when somebody broke a string in the show. Ten years ago we broke strings on every show almost. So I think it was more about the technique. I think we played more powerful and more loud today than ten years ago. But we are still keeping the instruments alive. We found out it’s too expensive to break cello every week, you know. [laughs] So we had to learn how to not break them. But we broke a lot of cellos throughout our career. With this particular tour you’re touring with Sixx A.M. and VAMPS it’s kind of an international ensemble, the last time you toured here was with DIR EN GREY you gave an impromptu performance of ‘Bring Them to Light’ with vocalist Kyo of DIR EN GREY, would you plan on doing something similar with Sixx A.M. or with HYDE from VAMPS? P: You know, these are interesting events for the audience and of course all the bands are quite different from the others it makes a different dimension to the shows, I find it really interesting. E: It’s not the same from the start, and there’s been some talk with Sixx A.M. we should do a song together, but so far it’s been so intense with the tour start, and so many things to get rolling so there’s been no chance to practice the song. But then there’s been talks, so maybe later on in the tour. P: About Kyo and DIR EN GREY, that’s really good memories. E: It really is great. Taking chances so far in your progression has paid out pretty well, what other areas are you hoping to challenge yourself in within the next few years be it with the instruments or the styles that you are playing? E: It’s exciting being on the road with Franky it’s a totally new situation, even when we had a touring singer in the past, but now that we worked on the record together, and he was singing on the album, he really fits well into the group and on stage and I think the challenge for us is like, staying hungry and thirsty, or making music together and I think there will be a very exciting natural development on how the whole group works when we get the tour rolling more and more shows and more and more shows and more routine and trying new things and different things and playing the new songs. I don’t know if there is any special challenge, we don’t think at least at the moment, it’s more like, you know, finding a touring routine that everybody feels cool and comfortable and motivated and inspired. And that’s how it feels, now it is like that with long tours, always long tours and whatever can happen in the next two years. [laugh] So it’s more about being aware and keeping the good mood. Musically, the challenges will never end. There will always be challenges. P: It’s a really interesting situation, basically we have so many song with singers, we think over the back catalog of all of the songs we have now. Basically we could create like a full set with a singer, but we don’t want to do that. How to combine those instrumental songs so that people can hear a variety of good songs, kind of hit songs they have learned on the radio, that’s a kind of challenge to make a compact set list to please the audience. E: And now with Franky that feels more natural, with Apocalyptica, the instrumental and the vocal Apocalyptica, they have combined, they are coming together much better than anything in the past. That happens also on the new album, you can hear when you get the album it’s really like, there’s not some big gap between instrumental and vocal, the same thing happens live now. Like the vocals are a part of the instruments. E: Yeah, Franky’s sound is really like it’s powerful. Even though Shadowmaker just came out, are you already plotting what your next album might be? E: I actually already have some thoughts, and I think everybody else already has some thoughts. We are super happy with the record, but always when you get a little distance to what you’ve done, then you start to think, okay we have this on the records, well maybe we could have a little bit more of that. It’s a never ending process, making music. As long as it is something new and exciting you can try. But I think this time the album came out exactly how we wanted, and it was a big difference to previous records. Of course we were happy with the previous albums, but the fact that we had so many guest vocalists, that actually mixed up with production, because when we went into the studio, we usually didn’t know all the songs, there was always pending confirmation from one label, or management for that singer, and you know we had a lot of songs in the air that we didn’t know what might happen. It was always like that, we had to make compromises. This time as we were able to play everything on the record by ourselves, having Franky on board, that changed it completely, so we were completely independent from the outside world we literally locked ourselves and the producer inside the studio and came out when the album was done, and that was the first time we started playing the music for other people. We didn’t have to talk to anybody. That’s a big reason, that’s why we said this album is exactly how we wanted it to be. 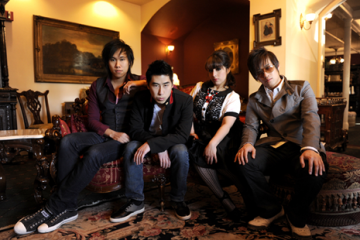 There have been bands in recent years that have used strings in their compositions, even classical elements. Being on the forefront of utilizing classical instruments, what else do you hope to see them used? E: In rock history, a lot of bands use stringed instruments, Beatles and Electric Light Orchestra, in America, there is a lot of like fiddling and a lot of country music has a lot of strings. P: I think with metal music what would be more interesting would be to hear more brass instruments. Trombones, and that kind of stuff because it could be really brutal. People are very used to hearing them in the orchestra, and even more as a big band kind of thing like jazz and stuff like that. But it could be really brutal when fit with metal sounds. E: We once did a concert, with a Finnish Opera festival, and for a couple of songs we had four brass players, and it sounded great, it sounded really great. San Francisco was a sold out show. Since then you’ve been in Las Vegas and LA, so far, up until today, what has been the highlight of the tour? E: I don’t know, every show has been really good. Maybe the L.A. show was the best show for us. Club Nokia was a great venue. It’s hard to say which were the best shows but I think the L.A. show was somehow very tight playing live and everyone trying to deliver their best. Every show has been good, there haven’t been any bad shows or any shows where it was not so good. E: ‘What is the best show you’ve done’. How do you compare? So many different shows with different audiences. P: How many shows have we played? 1,000? P: [Out of] 60 countries…? E: Ah, favorite countries… It’s hard to say. It’s just great to play in Mexico, it’s great to play in Venezuela, it’s great to play in Germany, it’s great to play here. We’ve been very lucky to have played in so many places. To have everywhere… we manage to find a connection with the audience wherever we go. That always creates the magic of the show, therefore every night is unique and is basically beyond comparison. Sometimes we can play festivals, big venues, sometimes in small clubs. It’s hard to compare which is nicer; there are so many different qualities. P: Even tonight, with this tour, even with Sixx:A.M. being in the headlining slot, of course most of the audience is going to be like, a Sixx:A.M. fan. It’s a really big challenge for us, to [have] the best possible show for those people who might not even know us at all; to win them to our side. E: We have a fresh audience to whoever hasn’t heard us. At these kinds of shows, we can kind of count, ‘who’s excited over here’! Mouth wide open and smiling, but that’s fun [laughs]. 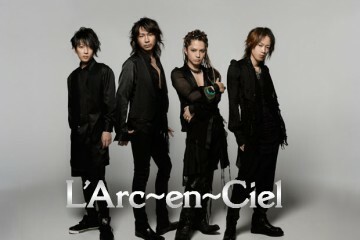 JRockRevolution.com is dedicated to promoting Japanese artists. Because you’ve had guest vocalist like [Dir en grey] Kyo before, would you consider working with another Japanese artist? E: For sure. Once we worked with Tomoyasu Hotei, the guitar player, on a song Grace. He was in the Worlds Collide album. 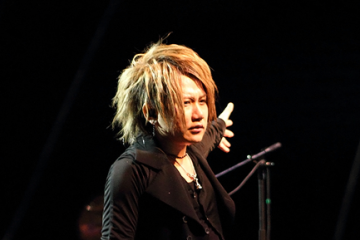 P: Actually, we had plans on doing some songs with Kyo. But the schedule at the time, it didn’t happen. 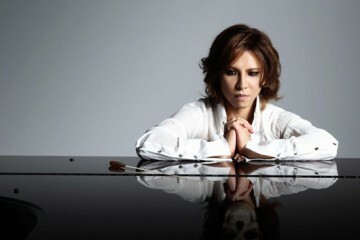 E: Playing [in Japan]… It’s a place that we miss. We would like to play there more; we’ve played there maybe three times? We played at Loud Park, Finland Fest, and a showcase at the end of the 90s. We have a good number of fans in Japan, but for whatever reason, it just hasn’t started rolling [in that direction]. That’s what we are looking for after this tour – maybe not this year, but hopefully next year, we can make a proper tour in Japan because we love Japan. That sort of answers a bit of our next question; where else do you want to take Apocalyptica? E: The whole of Asia is interesting. We love to go to new places. E: India… We’ve been almost everywhere else. I don’t know about the market in Africa for this kind of music; I don’t think it exists. Maybe South Africa. We’ve played Lebanon and places like that. Whatever the crazier, how strange, the more happy we are to go. I think in planning, it looks promising that we’re going to play a festival in India; that will be interesting. We heard we have a big fanbase in India as well. It’s complicated, but I think it will be interesting to play there. It seems complications arise working with industries in different countries. I’ve seen that working with Japan. E: For Japan, we would love to play Loud Park. Hopefully [we] can get Loud Park happening this year. That will be good because if we play there, then maybe we can announce shows for next year. We have plans for Japan, but if Loud Park doesn’t happen… then we will have to change the plan. Hopefully we get there. It was a great experience last time we played there, with Slipknot [and other bands]. Special thanks to Apocalyptica for taking the time to talk to us! 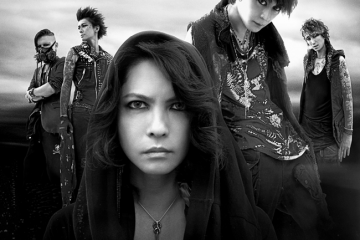 Check out our live report for the Denver show with VAMPS, Apocalytpica and Sixx:A.M.! 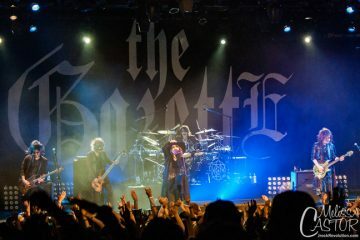 Win tickets to the GazettE in NYC on April 29th!